Alice in Wonderland. Various screencaps. 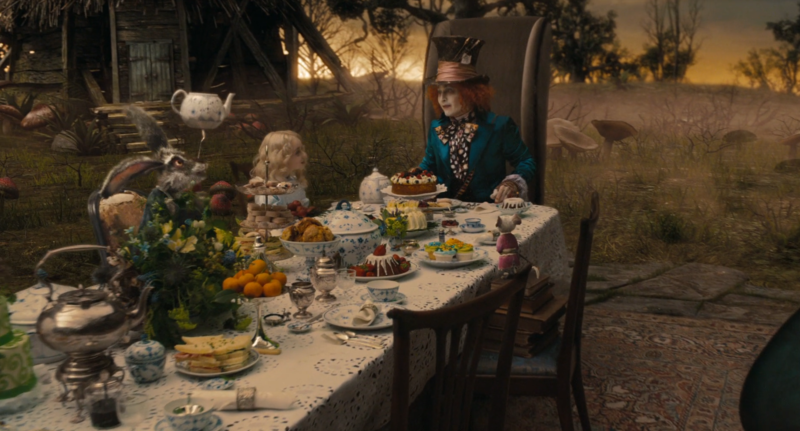 HD Wallpaper and background images in the Alice in Wonderland (2010) club tagged: alice 2010 screencap the mad hatter hatter tarrant hightopp in wonderland. 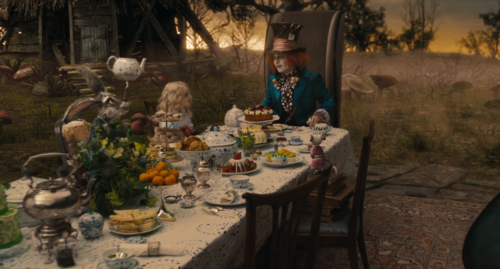 This Alice in Wonderland (2010) photo contains dinner table. There might also be patio, terrace, brasserie, and bistro.